2016 has been a year of changes for me. It would be an understatement to say that I am thankful and grateful that through this stage God has been with me, guiding me and directing me to the way I should go. Marking those changes was the moment I decided to take blogging seriously. I have been blogging for quite awhile now, but simply as a hobby. The concept of earning a living through blogging and freelancing is still not the norm from where I live, so the struggle is totally real. I have to get encouragement from people who are already there. 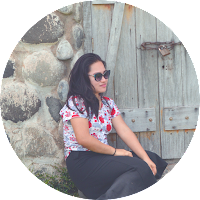 I realized that gone are the days that blogging is just a form of an outlet. I now see that the competition is so high already in this industry that I was so amazed I was even listed on the top waitlist of TravelBook.ph Affiliate Contest. Not a big deal. Besides, I didn't really expect a slot on the awesome getaway that they offer. Well, I was mistaken! I got a call just last night saying that I got a slot! I couldn't scream loud enough out of excitement!! It might be out of pure luck for somebody, but for me, it's another opportunity that God is putting my way. I don't honestly know what to expect at this kind of events but I'm only praying for the good and the best out of it. What a better way to start a new phase in my life! I know that mingling with these people who have more experience with freebies and exclusive getaways would be a refreshing change for me. So if I were you, why not be an affiliate at TravelBook.ph as well? Click here if you have decided already. And if not, just stay tuned for more continuing posts about it. Sometimes, a change could be a good thing.